Thats all. Game finished - Lille 5, Paris Saint Germain 1. Second Half ended - Lille 5, Paris Saint Germain 1. Corner - Paris Saint Germain. Conceded by Gabriel. Missed chance. Kylian Mbappé - Paris Saint Germain - shot with right foot from outside the box goes high. Assist - Colin Dagba. Thiago Mendes - Lille - won a free kick in attack. Youssouf Kone - Lille - won a free kick on the left wing. Marco Verratti - Paris Saint Germain - won a free kick in defence. Substitution - Paris Saint Germain. Layvin Kurzawa for Julian Draxler. Goal! Lille 5, Paris Saint Germain 1. José Fonte - Lille - shot with the head from the centre of the box to the high centre of the goal. Assist - Nicolas Pepe with a cross after corner. Corner - Lille. Conceded by Alphonse Areola. New attacking attempt. Jonathan Bamba - Lille - shot with right foot from outside the box is saved in the left corner. Assist - Nicolas Pepe. Marco Verratti - Paris Saint Germain - receive yellow card. - Lille - won a free kick in attack. Nicolas Pepe - Lille - won a free kick on the right wing. Offside - Paris Saint Germain. Julian Draxler with a pass, however Kylian Mbappé is in offside. Goal! Lille 4, Paris Saint Germain 1. Gabriel - Lille - shot with the head from the centre of the box to the right corner. Assist - Nicolas Pepe with a cross . Jonathan Bamba - Lille - won a free kick on the left wing. Substitution - Lille. Boubakary Soumare for Xeka - injury. Delay in match Xeka - Lille - - injury. Substitution - Lille. Rui Fonte for Jonathan Ikone. Goal! Lille 3, Paris Saint Germain 1. Jonathan Bamba - Lille - shot with left foot from the left side of the box to the left corner. Assist - Jonathan Ikone. Shot blocked. Jonathan Bamba - Lille - shot with left foot from the left side of the box is blocked. Assist - Loïc Remy with a through ball. New attacking attempt. Colin Dagba - Paris Saint Germain - shot with right foot from outside the box is saved in the left corner. Assist - Kylian Mbappé. Corner - Paris Saint Germain. Conceded by Youssouf Kone. Shot blocked. Kylian Mbappé - Paris Saint Germain - shot with right foot from outside the box is blocked. Assist - Moussa Diaby. Shot blocked. Loïc Remy - Lille - shot with the head from the centre of the box is blocked. Assist - Mehmet Zeki Çelik with a cross. Goal! Lille 2, Paris Saint Germain 1. Nicolas Pepe - Lille - shot with left foot from the centre of the box to the centre of the goal. Assist - Jonathan Ikone with a through ball following a fast break. Missed chance. Thilo Kehrer - Paris Saint Germain - shot with the head from few metres is close, but missed to the left. Assist - Leandro Paredes with a cross . 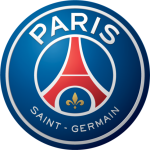 Second Half starts Lille 1, Paris Saint Germain 1. First Half ended - Lille 1, Paris Saint Germain 1. Delay in match Thiago Mendes - Lille - - injury. Kylian Mbappé - Paris Saint Germain - receive yellow card for a foul. Thiago Mendes - Lille - won a free kick in defence. Substitution - Lille. Gabriel for Adama Soumaoro - injury. Delay in match Adama Soumaoro - Lille - - injury. Thiago Mendes - Lille - receive yellow card for a foul. Shot blocked. Nicolas Pepe - Lille - shot with left foot from outside the box is blocked. Assist - Mehmet Zeki Çelik. Corner - Lille. Conceded by Dani Alves. Shot blocked. Xeka - Lille - shot with right foot from the centre of the box is blocked. Assist - Jonathan Ikone. New attacking attempt. Julian Draxler - Paris Saint Germain - shot with left foot from the centre of the box is saved in the right corner. Assist - Moussa Diaby. Shot blocked. Youssouf Kone - Lille - shot with left foot from outside the box is blocked. Assist - Xeka. Shot blocked. 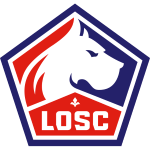 Nicolas Pepe - Lille - shot with left foot from outside the box is blocked. Juan Bernat - Paris Saint Germain - receive red card. Nicolas Pepe - Lille - won a free kick in attack. New attacking attempt. Kylian Mbappé - Paris Saint Germain - shot with right foot from outside the box is saved in the right corner. Assist - Juan Bernat. New attacking attempt. Moussa Diaby - Paris Saint Germain - shot with left foot from outside the box is saved in the top right corner. Offside - Paris Saint Germain. Dani Alves with a pass, however Moussa Diaby is in offside. Missed chance. Jonathan Bamba - Lille - shot with right foot from outside the box missed to the left. Assist - Xeka. Missed chance. Leandro Paredes - Paris Saint Germain - shot with right foot from outside the box is close, but missed to the left from a free kick. Shot blocked. 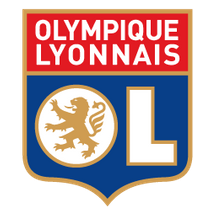 Thiago Mendes - Lille - shot with right foot from outside the box is blocked. Assist - Mehmet Zeki Çelik. Nicolas Pepe - Lille - won a free kick in defence. Substitution - Paris Saint Germain. Moussa Diaby for Thomas Meunier - injury. Delay in match Thomas Meunier - Paris Saint Germain - - injury. Substitution - Paris Saint Germain. Thilo Kehrer for Thiago Silva - injury. Offside - Paris Saint Germain. Leandro Paredes with a pass, however Kylian Mbappé is in offside. Delay in match Thiago Silva - Paris Saint Germain - - injury. Goal! Lille 1, Paris Saint Germain 1. Juan Bernat - Paris Saint Germain - shot with left foot from the centre of the box to the right corner. Assist - Kylian Mbappé. Missed chance. Xeka - Lille - shot with the head from the centre of the box missed to the left. Assist - Jonathan Ikone with a cross. Missed chance. Loïc Remy - Lille - shot with right foot from the centre of the box is close, but missed to the left. Assist - Thiago Mendes with a through ball. Thiago Mendes - Lille - won a free kick on the left wing. Missed chance. Thomas Meunier - Paris Saint Germain - shot with right foot from the right side of the box missed to the left. Assist - Dani Alves. Get real-time football commentaries and full coverage for the Ligue 1 match Lille vs. Psg, powered by Scorenga.co.uk. This page is dedicated to one of the most exciting Ligue 1 clashes. Here you will find a summary of the game, standings and photos.